Here’s a riddle for you. What’s cute, yellow and looks like a duck? (Hint, it’s not a duck!) It’s the quack-tastic birthday cake that Perth mum Jessica made to celebrate her daughter Tiah’s first birthday earlier this year. 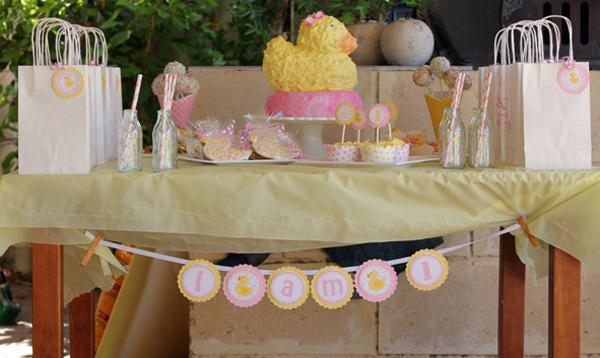 We love how Jessica came to settle on the sweet duckie theme for her daughter’s first big celebration. As a newborn, Tiah would make a sweet little honking sound to herself whenever she drifted off to sleep. 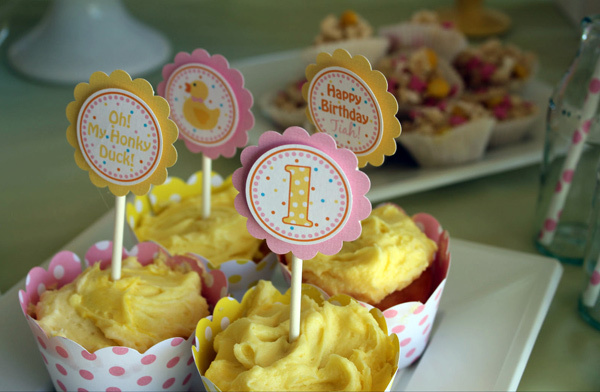 Her bemused parents dubbed her “Honky Duck”… and the perfect party theme was born. 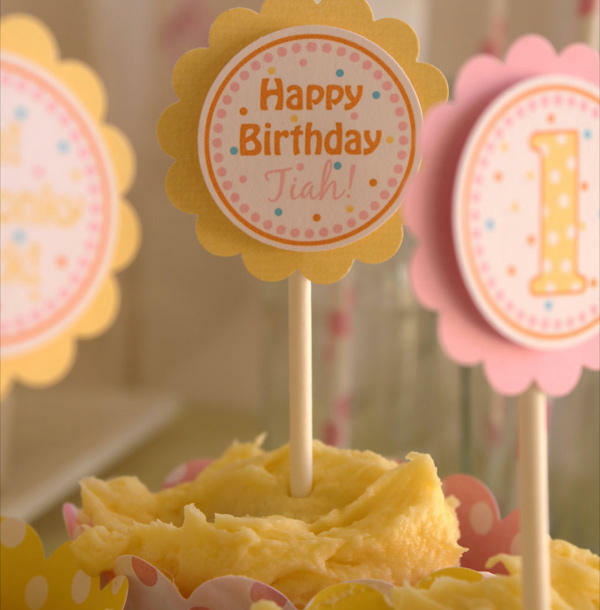 The thing we especially adore here is the simplicity of Tiah’s party, with its pretty pastel pink and yellow colour scheme, and how it shows that grand gestures aren’t the only way to make a big impact. Here, it’s the little things that matter. 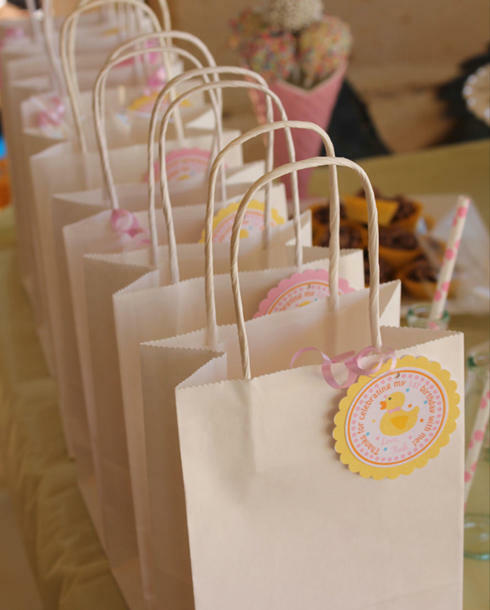 Like the polka dots on the paper straws and cupcake wrappers that Jessica found online, the cachous on the cake pops she made herself, and the gingerbread duck-shaped cookies with their matching spots that were baked with much love by the birthday girl’s grandma. 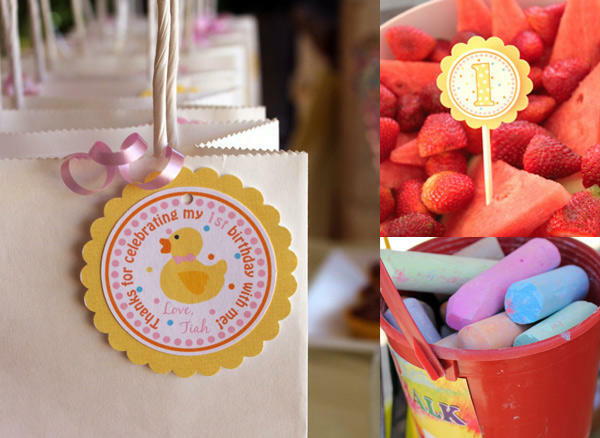 Not to mention the cute-as-cute party banner strung from the sweets table with old-fashioned wooden pegs. Little glass bottles are something of a staple at stylish kids’ parties these days but we like how Jessica filled hers with milk instead of fizz. 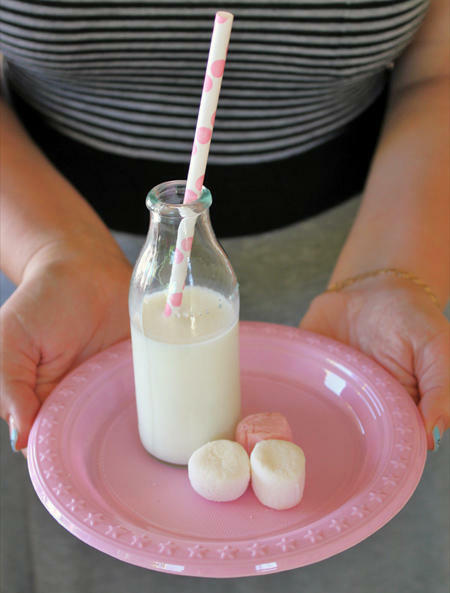 She served them to the pint-sized guests on a pink plate with marshmallows on the side. Seriously sweet! Jessica kept to her ‘simple’ ethos for most of the decorations and tableware, which she snared on sale at Spotlight, but lashed out on a themed banner, cupcake picks and party bag tags. These were all custom-designed to match to a special party hat for the birthday girl’s head, and came from Etsy shop Ten Candles. 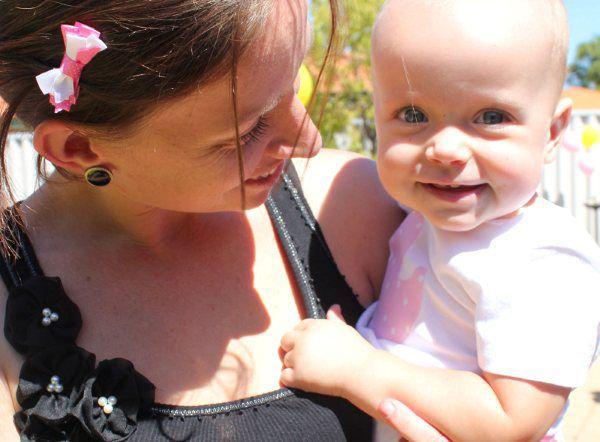 The blue-eyed birthday girl matched too in her darling spotty duck onesie, complete with ruffled bottom, from another Etsy seller, Peace Love and Kids. 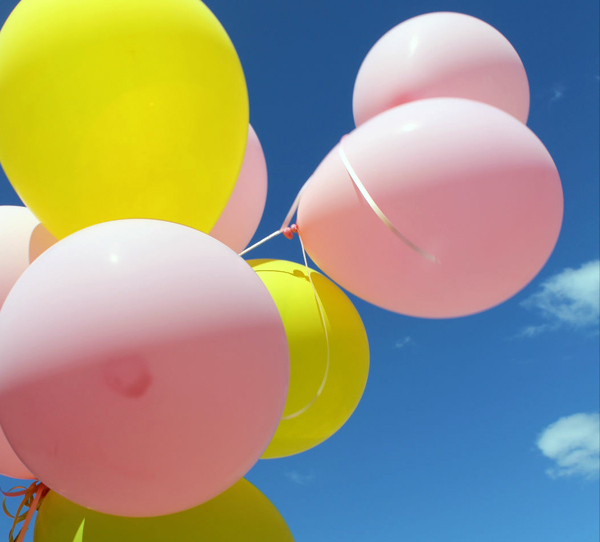 Balloons and a bubble machine kept the babies and toddlers entertained, while buckets of chalk – and a handy stretch of paving – kept the older kids busy. See? Simple, yet perfect. That’s something worth honking about.